We will discuss what is a Peoplesoft Connect ID, where it is used, how to create a Connect id and the permissions required by the Connect id. 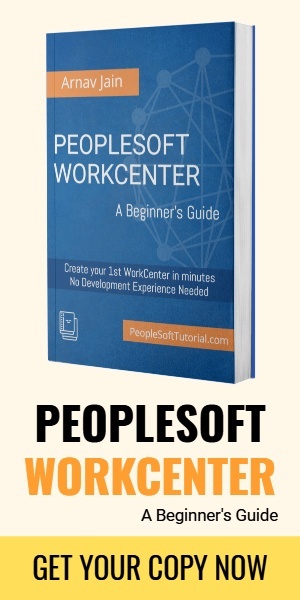 What is a PeopleSoft Connect ID? PeopleSoft Connect id is one of the basic requirements on which PeopleSoft works. PeopleSoft Connect id is infact a PeopleSoft database id, which is required to establish the initial connection to the database in PeopleSoft. It replaces the old concept of having database userid for every PeopleSoft id. A connect Id is a valid user ID that, when used during sign in, takes the place of PeopleSoft User Id. PeopleSoft Connect ID works behind the scene and the presence of it is not even realized until you have a need to create a new PeopleSoft instance, which also is a rare requirement like in case of a PeopleSoft upgrade or PeopleSoft bundles upgrade. Where is PeopleSoft Connect ID used? As mentioned above, PeopleSoft connect Id is used for initial authentication with PeopleSoft database. Connect Id is needed whenever we need to configure the application server, process scheduler and configure 2 tier client like PeopleSoft application designer and data mover. If connect id is not mentioned correctly, you will face error while starting application server, process scheduler server & will be unable to login in PeopleSoft app designer or data mover. Application Server: Connect Id is entered when choosing “Configure this domain” option for any PeopleSoft application server domain using psadmin utility. Connect Id can also be entered directly in application server configuration file psappsrv.cfg for the domain being configured. After making changes to psappsrv.cfg file , appserver needs to be configured again using psadmin so that psadmin picks up new settings as mentioned in “psappsrv.cfg” file. Process Scheduler Server: Similar to application server configuration, connect id is used in process scheduler configuration as well. Connect Id can be entered in process scheduler configuration file “psprcs.cfg” as well. 2 tier client eg. 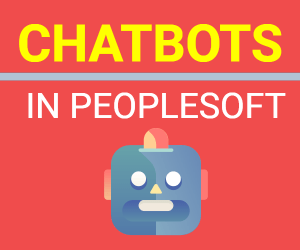 PeopleSoft Application Designer, Data mover: As these 2 tier clients also connects with database so connect id is also required to be configured for these. To configure this we need to go to the configuration manager which can be accessed via installed PeopleTools workstation. Enter values of connect id and password on the startup tab of PeopleSoft configuration manager. If you don’t specify connect id , system will assume that you are trying to access PeopleSoft using 3 tier access. Learn how to setup 3 tier connection in PeopleSoft. How to Create a PeopleSoft Connect Id? While creating a new database, connect id is created using connect.sql script which is present in PS_HOME\scripts\nt\ folder. By default ‘people‘ is connect id, although a new connect id can be created any time later. What are the Permissions Required for a PeopleSoft Connect id? Because a Connect ID is only needed to establish the initial connection, it needs permission on only a handful of tables. PeopleSoft Connect id needs to have read only access to three major PeopleSoft tables i.e. PSSTATUS, PSOPRDEFN and PSACCESSPRFL. Usually this access is also granted as part of database installation using grant.sql which is also present in PS_HOME. You can also grant access by running the below commands. If you still have any questions, please leave some comments here or for quick response like our facebook page and ask your question there.